In February, the Torrance, Calif., location of the upscale Burke Williams Spas said goodbye to traditional water pedicures and replaced their pedicure treatments with the Red Dragon Steam Pedicure Systems. 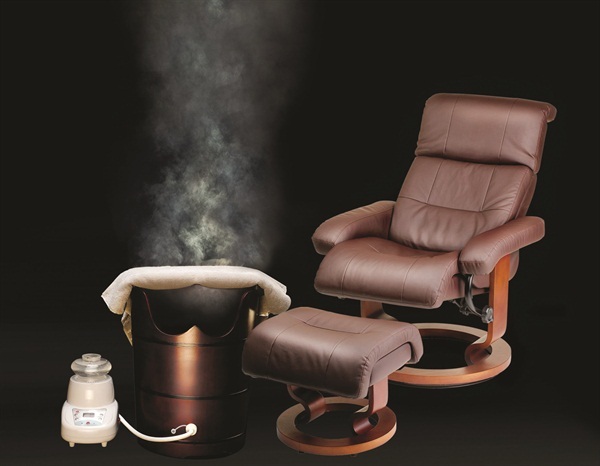 Sold exclusively at The Nail Superstore, the Red Dragon System uses steam to provide a relaxing pedicure experience. The steam kills germs and the system is easy to clean, sanitize, and disinfect. The Burke Williams service includes feet being cleaned with a tea tree oil mix, polish removal, and nail shaping. Then a massage lotion is applied to the foot and calf, then wrapped in a warm towel up to the knee and placed, one foot at a time, into the wooden steam sauna barrel. Once each foot has been prepped and steamed, guests receive a signature foot and calf massage, followed by polish. Burke Williams nail care director Michelle Orozco says it is more cost-effective for them to only offer steam pedicures, but more importantly, much more hygienic. “It’s the right way to go. We decided to test it to see how people like it and we’ve received great feedback. Customers have been happier and more satisfied with their longer-lasting pedicures,” she says. Burke Williams plans to introduce the Red Dragon systems into their other California locations throughout the year.